University of Rouen is our historical partner! Originally created for the students of the University of Rouen, we maintain privileged links with the University of Rouen as much as 450 disabled students are continuing their studies. We have had a partnership agreement with the University of Rouen since March 21st, 2000. Our actions are in addition to the tasks carried out by the Espace handicap of the University of Rouen. The University offers our offices at the House of the University of Mont Saint Aignan and at the Madrillet Technology Park (Saint Etienne du Rouvray). It also provides financial support and all the logistics necessary for the organization of all our events. The Social Fund for Students Development Initiatives (FSDIE) from the University of Rouen is a partner of the Handisup meetings. La première convention de partenariat entre l'Université du Havre et HANDISUP a été signée le 4 octobre 2000 et est renouvelée régulièrement depuis. The first partnership agreement between the University of Le Havre and HANDISUP was signed on October 4th, 2000 and has been regularly renewed since. 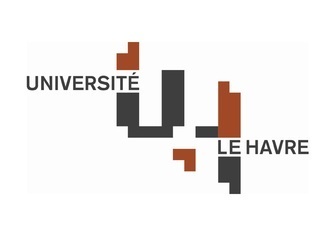 So that 100 disabled students from Le Havre can also benefit from actions carried out, the University of Le Havre gives to Handisup premises to hold offices there on every Thursday. These offices take place on the site Lebon of the University of Le Havre in narrow link with the Handicap Service. In November 2008, a partnership agreement was signed with the ESC Rouen group so that students enrolled in the various schools of the group can benefit from the actions of Handisup. Handisup also spoke at an information meeting to sensitize teachers to the problem of students with disabilities. Handisup is a regional resource center to inform and assist institutions which wish to improve the welcome of students with disabilities.